Studies reveal that young children learn faster with picture books, provided the pictures in them were highly realistic. Many parents and teachers are aware of these facts now and prefer to buy picture books instead of plain books to ensure a better learning in their children. Make your book pictorial. Illustrate the text with help of high quality pictures. Target your audiences; consider which age group you are writing for. If you are writing for children below the age of 10, the artwork should be captivating and interesting. While working for a picture book, the style of the artwork should be the main consideration. 2. A story as dry as dust! Children have a short attention span than adults. It is therefore a challenge to capture their attention throughout your story. Lack of humour or a twist in the tale often makes the story book an irksome ride for the kids. Therefore it is important to involve interesting elements in your story to keep younger readers engaged. Sketch out your characters carefully. Make them unique. Write effective dialogues for your story. Incorporate some humour and twist in the plot. Children love humour as much as adults do. -Keep in mind to entertain children with your book. I did a small survey on this one, before coming to any conclusion. During the survey, I asked five of my friends who have small kids from the age of 3-12, about the choice of font they would look for before buying a book. One of my friends stated "we never pick up books with "clever" type that goes up and down, or loops around the page". Others said they refrained from buying books that have too fancy a font. The choice of fonts should be based on the kind of book it is and the audience. Who is going to read it, parents to their children, or children? Before publishing your book, you need to take care of the fonts you are using for it. The font of a children's book should be big fat friendly letter proportions, open clear counters, and stylish numbers. Try keeping it simple, you want your art to draw the attention, not the font. Don't go too fancy for the sake of it. Sentence1: The main key to drawing a child's attention is to keep them entertained throughout the story book. Sentence2: Keep in mind to entertain children with your book. Assume if you were a kid which sentence would you understand better. Sentence1 uses a long sentence to convey the same meaning whereas sentence2 conveys the same with a short and correctly punctuated sentence. Always remember that the audience of your book had just started learning. You wouldn't want to confuse them. Short and simple sentences fit well and quick with a child's mind. Use simple and short sentences to convey your story. Proper use of punctuation is necessary to convey the correct meaning. A for Apple, B for Ball, C for Cat. We were taught the same in school, but times have changed a lot now. Many schools have already started teaching new words like A for Airplane/Airport, B for Bat/Binoculars and C for Chocolate/Car. Keep yourself updated. Outdated and repetitive things wouldn't sell. A story about How Johnny sold his iPod would attract children more as compared to the same old story about a lion and a mouse. 6. The binding is fragile! Hermione: Let me see your book, Harry. Harry Potter: No, you can't. Harry Potter: The binding is fragile. Though this is not a common reason for not buying a book but being a mother, I personally avoid buying books with soft covers because they generally have a shorter lifespan. I think many moms here would agree with me, and understand what I am going to say. Especially, those with toddlers at home realize how important it is to buy a book with a solid cover if you want it to serve its only purpose of making the little one learn. I am very sure there are many other mothers around who think like me, so if your book targets towards small kids make sure it has a strong and hardback cover. It should be strong enough to sustain some wear and tear which is obvious in case of young kids. It is true that children love to read books that subject to dark, violent matter.A bizarre world created by violence and magic in story books have been fascinating children since ages. But it is also true that most story books for children are picked by their parents. Too much of violence and fear can make parents turn their backs towards even the best-selling books. While writing for children's books, keep in mind the sense of responsibility towards a better building of the society. Many books fail in the market because of a weak marketing strategy. A role of publishers comes into play here, therefore choosing a right publisher for your book is important. Study the market and know what a publisher demands from an author. 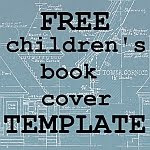 Read other children's books written by different authors and analyze why they are so popular. Inculcate the missing elements in your book. Writing for kids is not a child's play, but if you plan to write for children, just get back to your past and think of what thrilled you then. Remember, you have to think like a child to write something which would appeal to a child.